1.1 - These rates are per day for pre-booked unlimited mileage rentals on Algarve, Lisbon & Oporto. Rates include Collision Damage Waiver (CDW), Full Comprehensive Insurance and Portuguese VAT at 23%. These rates do not include Personal accident insurance (PAI), Damage to the vehicle caused by negligence, Fuel, Road Tolls, parking and traffic fines, Out-of-hours charge, Optional extras such as child seats / baby seats and GPS, Tyre and wheel damage, interior damage, damage to the roof, damage to the underside of the vehicle, Damage to any parts of the vehicle, damage to the glass parts of vehicle (including the windscreen), wing mirrors, loss or damage to the car key, locks, vehicle documents and registration plates, missfueling and damage to clutch and steering wheel box. By mutual agreement with all the Portuguese Car Hire Companies it is essential to sign and leave a Credit Card Slip to rent one of our cars. 1.2 - If the client want to eliminate this deductible should pay an additional insurance (called Super CDW) in the amount of €7,50 per day for Groups A and B; €10,00 per day for Groups C, D, D1, E, F, H, I, K, L, O, O1 and 5+2; €12,50 per day for the Groups G, J, J1, M, N, N1 and N2 and €15,00 per day for Group P and P1 which is paid directly by the client when receiving the vehicle. The SCDW it’s only activated for rentals for more than 1 week. Not included in the SCDW policy are damage to the vehicle caused by negligence, tyre and wheel damage, interior damage, damage to the roof, damage to the underside of the vehicle, damage to the glass parts of vehicle (including the windscreen), wing mirrors, loss or damage to the car key, locks, vehicle documents and registration plates, missfueling and damage to clutch and steering wheel box. 1.5 - One rental day is considered a 24 hours period. There is a tolerance of 2 hours difference between delivery and return. If this 2 hours tolerance is exceeded one extra day will be added to the rental agreement. Cancellation charges apply as follows: Within 48 hours of placing the booking there is no charge (unless within 48 hours before the rental takes place). When cancelling after 48 hours of making the booking and up to 48 hours before the rental takes place a € 25,00 charge is applied. When cancelling within 48 hours before the rental takes place the charge is 50% of the rental price, this is subject to a minimum € 25,00 charge. Credit card fees are non-refundable. Cancellations and amendments can only be made during our normal office hours. 1.8 - Vehicles in Groups E, F, G, H, I, J, J1, K, L, M, N, N1, N2, O, O1, 5+2, P and P1 are on REQUEST BASIS only. 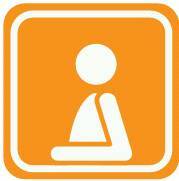 1.9 - Baby/Child seats are available ON REQUEST at a charge of €15,00 per week. 2.0 - Global Positioning System (GPS) available at €5,00 per day up to a maximum of € 50,00 per rental(necessary to leave €100,00 excess for this equipment). 2.1 - OUT OF HOURS (22:00 until 07:00) Delivery or Collection at an additional charge of €20,00 for the Algarve and Lisbon, and € 25,00 for Oporto. 2.2 - One way rentals between the Algarve and Lisbon will have an additional fee of €100,00 if the rental period is less than 7 days. One way Rentals ending in Oporto will have an additional fee of € 150,00, regardless of the rental period. Rentals starting in Oporto and ending in Lisbon or the Algarve will have a One Way fee of € 100,00 applied. 2.3 - Free deliveries in the Algarve (Faro) and Lisbon Airport. € 30,00 delivery fee for rentals starting in Oporto. The Algarve's main motorway, the A22 and some Portuguese motorways with electronic payment, operate an unmanned toll system. 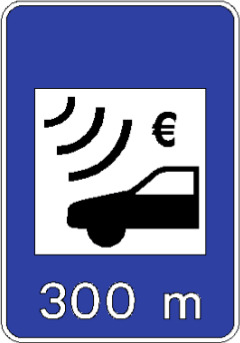 A toll transponder device is available upon collection for an additional charge of 20 EUR, payable locally. This includes 15 EUR worth of pre-loaded credit and enables clients to use the toll road without having to visit local pay stations/post offices. An option to add more credit to the transponder is available upon collection or during the rental. Any remaining credit on the transponder cannot be refunded, even if the toll road is not used. Clients wishing not to use the toll road must mention upon delivery of the vehicle and will be required to leave a deposit of 20 EUR. This amount will be refunded in full between 48 hours and 5 days of the rental ending, providing the toll road was not used (only possible to verify 48 hours after rental has finished). If in the end of the rental period (48 hours after) the full credit is consumed and the balance is verified negative, if Client doesn't offer to pay the amount to cover the balance, the Car Rental Company will be obliged to identify the driver. Then the driver will be contacted by post as usual happens with traffic fines. Alternatively and to avoid these contacts there is the possibility of paying on any Post Office or Pay-Shop giving the vehicle plate number. Info only live after 48 hours of passing and during 5 days. Note: this brings and issue for the last 2 days where payment is impossible. Later you'll receive a letter written in Portuguese with Portuguese E-Banking code to provide payment. Impossible from abroad! So we strongly recommend to always leave minimum credit on the transponder. Note: do not pass on the "Via Verde" line This is reserved for vehicles with Electronic Device Equipment! You'll be fined if pass here! b) Press on the button to remove a tolls ticket to present when exiting. Keep this ticket till the end. d) Swipe the tolls ticket and pay with Credit Card or give it to the Attendant and pay with Cash or Credit Card. Hirecar4less main cars hire depots are at FARO AIRPORT, S.BRÁS DE ALPORTEL, CARVOEIRO and LISBON AIRPORT.